Kenya received confirmation that the UN Secretary General António Guterres will attend the United Nations High-Level Conference of Heads of Counter-Terrorism Agencies of Member States to be held in Nairobi in June, during a meeting between Senate Speaker Kenneth Lusaka and Under-Secretary General of the UN Office for Counter-Terrorism Vladimir Voronkov. 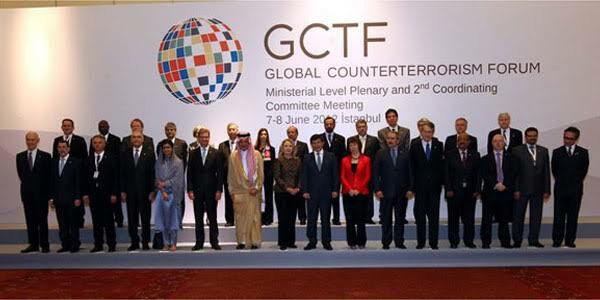 Global counter-terrorism forum 2012 pic. Kenya’s push to secure non-permanent membership of the United Nations Security Council (UNSC) for the 2021-22 term received a major boost after it emerged that it was UN’s preferred host for an international conference on counter-terrorism. In Doha, Qatar, Lusaka and Voronkov met on the sidelines of the ongoing 140th General Assembly of the IPU. I gave kudos to Kenya's efforts in counter-terrorism and contribution to regional peace, said Voronkov. Kenya’s hosting of the conference in June is coincidental as it is scheduled to launch its campaign for the non-permanent membership of the UNSC in the same month. The included council to attend the conference are China, France, the Russian Federation, UK and US sitting as permanent members with 10 fixed-term membership slots shared among African and Asian countries. Kenya has previously served two terms in the UNSC in 1973-74 and 1997-98. UNSC is one of the six principal organs of UN, charged with ensuring international peace.